Kristoffel Demoen (PhD 1993) is Professor of Greek Literature at Ghent University. His research interests are primarily related to the transmission, transformation and adaptation of the ancient literary and cultural tradition, especially in Late Antiquity and the Byzantine period. 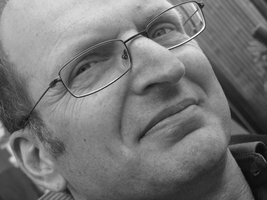 Kristoffel Demoen has written and edited books on Gregory of Nazianzus (Brepols, 1996), Philostratus' Apollonius (Brill, 2009), 11th-century Byzantine poetry (Ashgate, 2012) and Greek and Latin biography (CUP, 2016). His current project is an edition and commentary of the 10th-century Paradeisos, a collection of 99 classicizing monastic epigrams. He is the director of the Database of Byzantine Book Epigrams (www.dbbe.ugent.be), co-editor of L’Antiquité Classique, and president of the Belgian Society for Byzantine Studies.